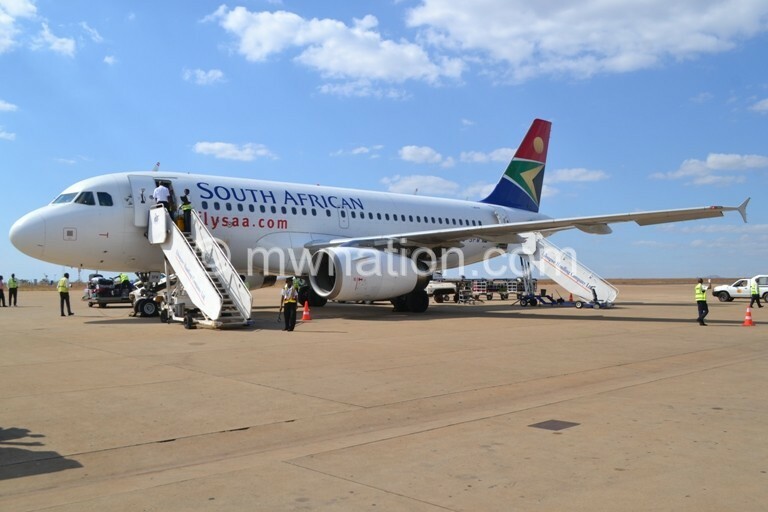 South African Airways (SAA) has resumed flights between Johannesburg and Blantyre, two weeks after the airline suspended its operations citing security concerns at Chileka International Airport. In a statement released on Friday, the South African Civil Aviation Authority (Sacaa) that carried an audit of Chileka Airport said it is satisfied with the measures taken to respond to the situation at the airport. “We are pleased that we are able to reinstate flights between the two points [Johannesburg and Blantyre] following the implementation of our corrective action plan. The plan was a battery of remedial interventions aimed at curbing or responding to the audit findings. “SAA will make the necessary decisions in response to demand and to clear any possible backlog as a result of the suspension of flights between Johannesburg and Blantyre,” said SAA spokespersonTlali Tlali. 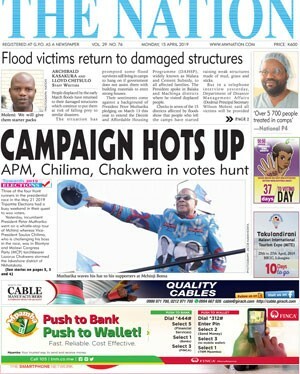 On Tuesday last week, Principal Secretary in the Ministry of Transport and Public Works Francis Chinsinga told the Budget and Finance Committee of Parliament that government was working to rehabilitate Chileka Airport with public funds estimated at K4 billion. He said the rehabilitation was being done while waiting full refurbishment of the airport from loan facilities that government obtained recently through Parliament. Said Chinsinga: “Currently as a short and medium-term measure, we are procuring a contractor to rehabilitate the runway using government resources. We are maintaining firefighting engine and maintaining the perimeter fence to enhance security. We believe the rehabilitation will be done in three months. “Treasury has assured the ministry that funds will be made available to fast track the rehabilitation of the airport to ensure its up and running as expected. We are also in the process of procuring new firefighting engines and two ambulances using the European Investment Bank and Exim Bank of China loans”. In 2015, government obtained 21 million euro (about K17 billion) loan from European Investment Bank and in 2018 Parliament authorized government to borrow $168 million (about K122 billion) from Export and Import (Exim) Bank of China for Kamuzu and Chileka International airports. Budget and Finance Committee of Parliament chairperson Rhino Chiphiko questioned governments’ laxity in the implementation of projects to uplift the standards of the country’s airports despite Parliament approving substantial amounts of loans.SAA operates a three weekly service between Johannesburg and Blantyre, Mondays, Wednesdays and Saturdays and the suspension of the flights affected passengers including those who had booked flights way in advance.